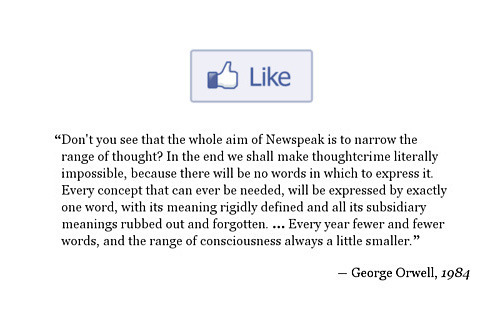 Don't you see that the whole aim of Newspeak is to narrow the range of thought? In the end we shall make thoughtcrime literally impossible, because there will be no words in which to express it. Every concept that can ever be needed, will be expressed by exactly one word, with its meaning rigidly defined and all its subsidiary meanings rubbed out and forgotten. … Every year fewer and fewer words, and the range of consciousness always a little smaller. Harry Potter is all about confronting fears, finding inner strength, and doing what is right in the face of adversity. Twilight is about how important it is to have a boyfriend. One man's trash is another man's treasure. One man's 'boring' is another man's pleasure. Its soul, its climate, its equality, liberty, laws, people, and manners. My God! how little do my countrymen know what precious blessings they are in possession of, and which no other people on earth enjoy!